Great white sharks are known for their hunting skills, but the only thing this one is interested in catching is the perfect wave! 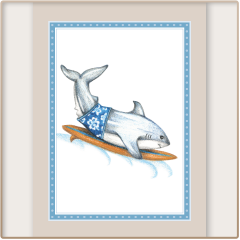 Hang ten with a pack of unique great white shark notecards. Cowabunga!